October 31st is right around the corner, and you know what that means. FREE CANDY! Well, free candy for those who can still pass as 12 or under, but for us adults, it means we actually have to purchase candy. And what's worse is it is not even for us! I guess its payback for all the free candy I took when I was a tot. FLASHBACK: It's 2005, and I am dressed as my version of Soldier. 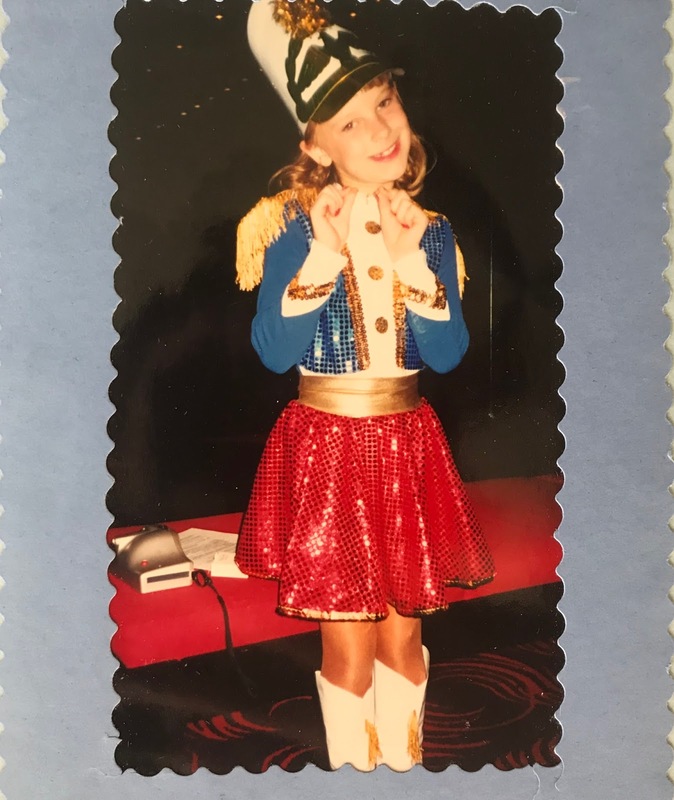 My costume used to be an old dance recital costume. Those suckers are expensive so mom would try to get me to reuse them whenever I can. I secretly didn't mind because I felt so fab in it. I think I was getting to that age when I may be too old for trick or treating but a big part of me still wants to go out and score some fun-sized candy bars, king size if I was feeling EXTRA lucky. Well, the ghouls of the night must've been watching over me because October 31st of 2005 had to of been the prime of my Hallow Eves. I am going from neighborhood to neighborhood collecting all the goods and some not so goods. Word to the wise, do not give out pennies to trick or treaters. You're better off turning your light off. We don't want your stinkin' pennies. I was about halfway through the night, and my hand is getting tired from holding my pumpkin filled with gold. At least to me, it was. 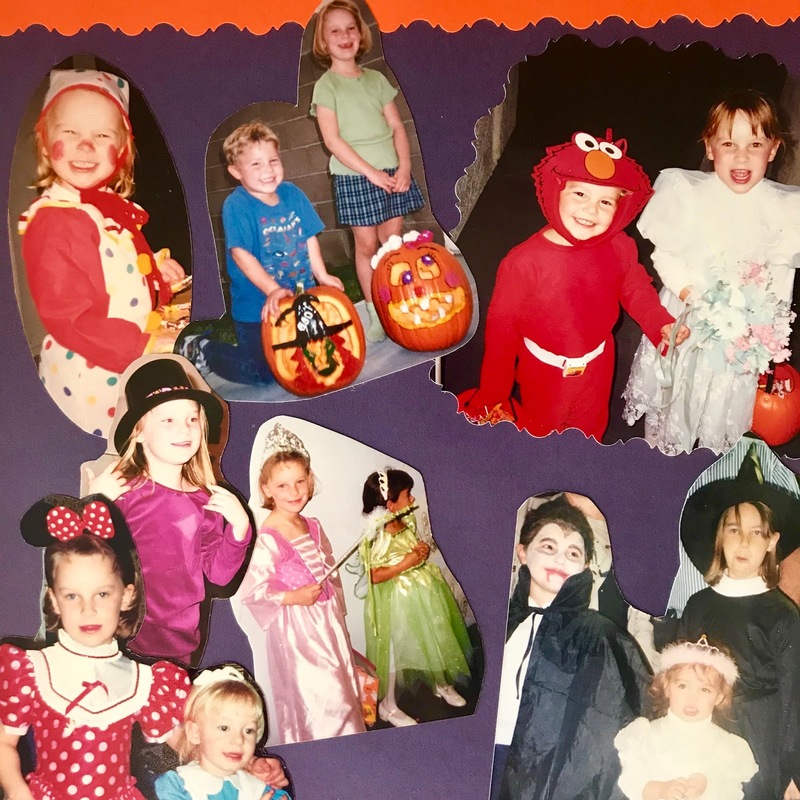 We (my fantastic group which consisted of a witch, fairy, and a Disney princess) switched streets, and I caught a second wind as I was overwhelmed by the slew trick-or-treaters. It was like something out of Halloweentown! All the porch lights were on and every house, until the end of the street, was decorated to the nines. Graveyards, blow-ups, spider webs, OH MY. Now, let me set the timeline for you. 2005 was the year of significant movements. Coke Zero was released this year, same with Game Wave, Twitches, The Pacifier, Game Boy Micro, the Apple Remote (version 1.0) and Trump Vodka. Apparently, '05 was the plug for movies, drinks, and technology. I get to the 4th house on the street. "TRICK OR TREAT!" We said this in unison because we had a lot of practice by then. Mrs. Phillips (I'm not sure if that was her name but she was a cute old lady, and it seemed appropriate) told us how cute we looked and tried to guess our costumes, which she nailed, even mine! She brought out a tray full of KING SIZED candy bars. The holy grail of childhood trick or treating. They were mostly Snickers but I spied a 3 Musketeers in the corner and almost knocked fairy over to get it. That wasn't even the best part of the night. How anti-climatic would that of been? Fast forward to the 9th house on the street. A middle age guy dressed as Darth Vader without his mask opened the door and pretended to be scared but realized none of us were all that scary looking. It's okay he saved it with a big "Wow!" He goes to grab his bowl, and he was one of the houses that did those little pre-made trick or treat bags that probably had three pieces of candy in it. Still a score. We said thank you and moved down to the sidewalk. Well, Fairy was like "I'm going to open mine now." Naturally, if my friends jumped off a bridge so would I, and we all tore them open. OH MY GOODNESS, you would not believe what was inside. 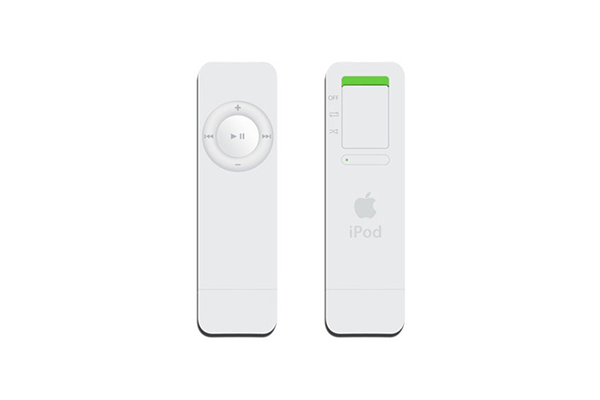 A brand new, newly released iPod shuffle. WHAT?! Screw my 3 Musketeers your girl is going home with a new music playing device. We each got one, and as we looked around, we saw other kids just as ecstatic. Headless Darth Vader Sir, you just upped the trick-or-treat game so many levels, and I salute you. One of these days I hope to provide as much joy to a kiddo with my passing out skills as you did for me that night. wow. Did you ever go back to thank him? Thats pretty impressive!